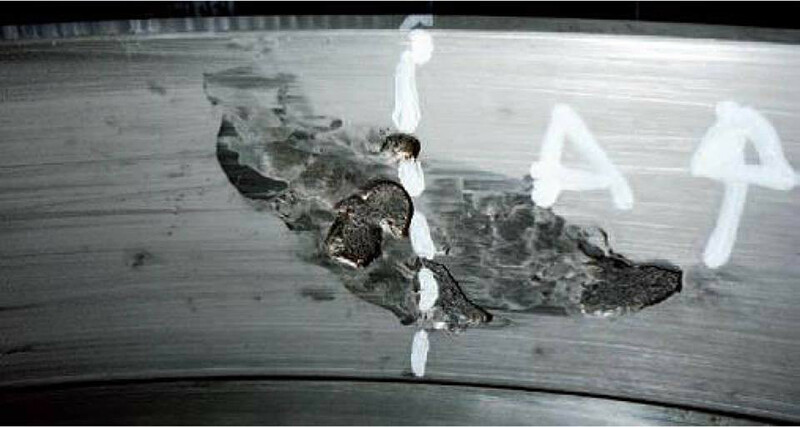 The picture below shows damaged areas on a bearing due to welded repairs of the bearing cap. It was concluded that a piece of paper forgotten between the bearing shell and the connecting rod had provoked the damage. Feb. 4, 2017, 12:06 p.m.